Fungal DNA, mycotoxins, cat allergens and fatigue in classrooms – microBEnet: the microbiology of the Built Environment network. This recent PLoS One article on Associations with Fungal DNA and Mycotoxins in Classroom Dust seems especially appropriate considering the blossoming of flowers and accompanying seasonal allergies that’s now happening in our part of the world. Sick building syndrome (SBS) is associated with the following symptoms: ocular, nasal, throat and dermal symptoms, headache and tiredness. Norback et al (2016) studied associations between rhinitis and symptoms of SBS and levels of fungal DNA sequences, mycotoxins (sterigmatocystin and verrucarol) and cat allergen (Fel d 1) in eight schools in Johor Bahru, Malaysia. Although the classrooms had fresh air and low CO2 levels, the authors identified positive associations between total fungal DNA in swab samples of classroom surfaces (blackboard edges) and ocular symptoms (p = 0.03), rhinitis (p = 0.006), throat symptoms (p = 0.04) and tiredness (p = 0.01). Interestingly they identified a negative (potentially protective) association between Streptomyces DNA and rhinitis (p = 0.04). Most of the results are presented in tables which you can find online. 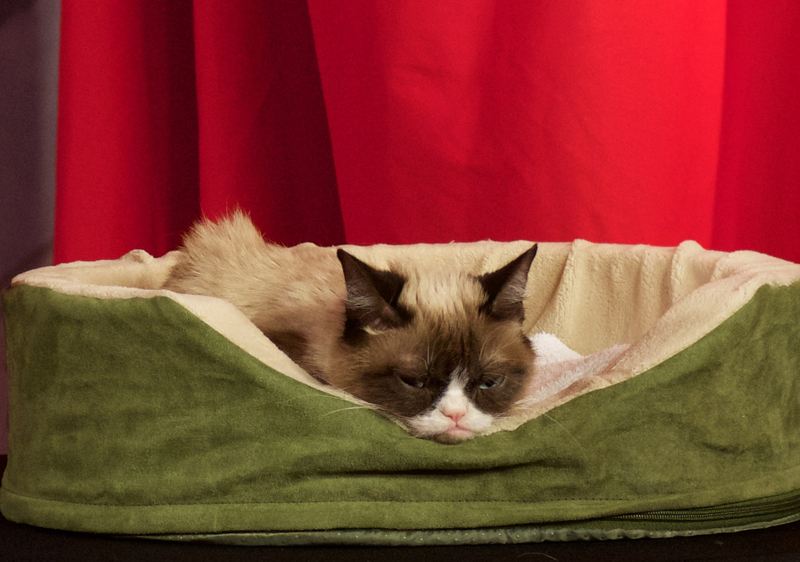 They also used Petri dishes to collect dust samples that settled over the course of a week and found a positive association between Stachybotrys chartarum DNA and dermal symptoms and an association between cat allergen levels (Fel d 1) and headache. At first I thought that teaching style was probably a more important factor for classroom fatigue (and it still might be). But after several days of experiencing the symptoms of seasonal allergies, I am once again reminded that the immune system can indeed make you feel very tired. Do I look like I care about Fel d 1? Photo by Holly Ganz. That’s such a cool study! Definitely feeling it with allergies right now, I always appreciate research on things like this. I’ve had a really big problem with chalkboards in classrooms…I just end up distracted by dealing with my allergies instead of actually learning. Expo markers are not much better in that regard. I find this paper to lack importance, and wonder what you think is really going on. I have been to Malaysia in November, the time of year the study was done. It was hot and humid all the time, and I was told that is normal there. The buildings were all naturally ventilated, These data suggest a high air exchange rate (AER) meaning that the transport of bioaerosols (including fungi) from outdoors was high and the indoor conditions were very similar to outdoor conditions. High AER in a naturally ventilation building is likely to bring in pollen, and given the frequent rainfall and the abundance of pollen found in air after rainfall, it is possible that a lot of the reported symptoms were due to allergic responses. A high fraction (21%) of the student population had reported pollen allergy. Table 1 shows the symptom prevalence for various symptoms, but none exceed 21%. 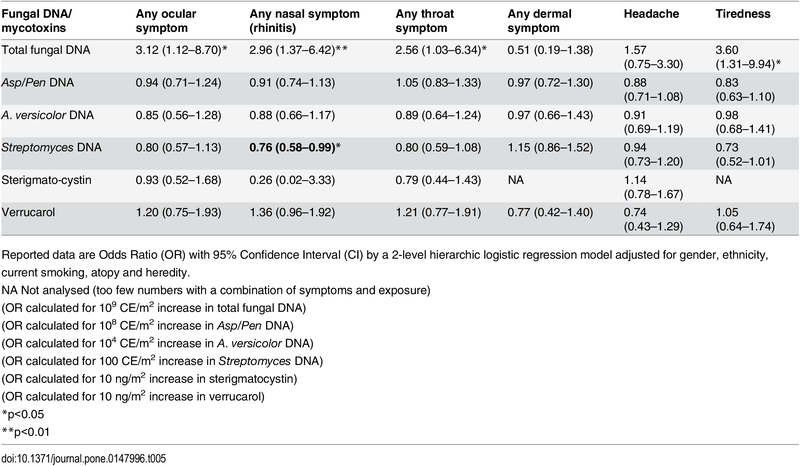 The paper does not tell us what the background level is of the symptoms in Table 1, so I am curious as to what evidence there is of associations between fungal DNA concentrations and symptoms rather than pollen. indoor and outdoor exposures differ little when the indoor environment is naturally ventilated and the air exchange rate is high. Attributing symptoms to classroom exposures raises a number of questions in my mind. The paper states: “Initially, we analysed associations between symptoms and classroom exposure, controlling for gender, race, tobacco smoking, atopy and parental asthma/allergy.” But air in the classroom likely differed very little from outdoor air, so exposure in the classroom cannot be easily separated from other exposures. What impact do you think the climate of Malaysia — hot and humid all around the year — makes on the associations reported in this paper? I agree that it would be helpful to measure the pollen levels and that it would be difficult to distinguish exposure inside the classroom from that which comes in with outdoor air.